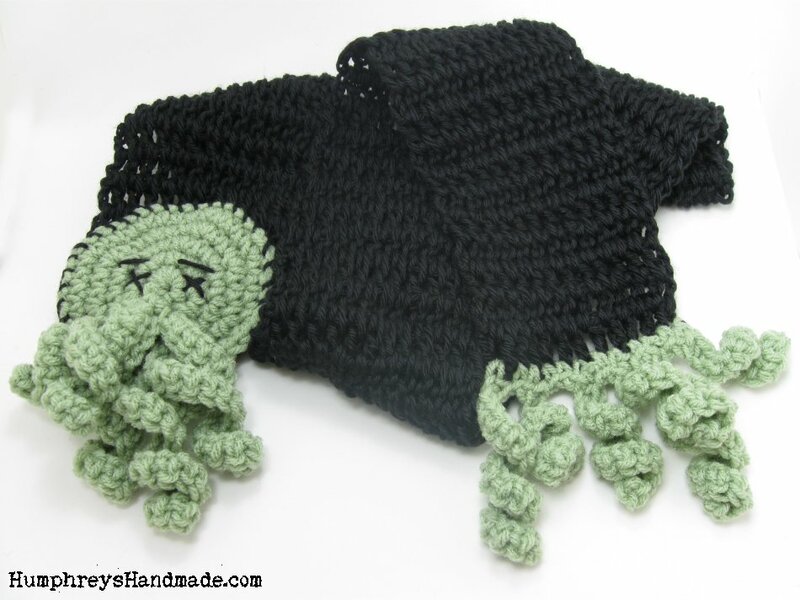 Quirky, Creepy, Yet Super Cute! 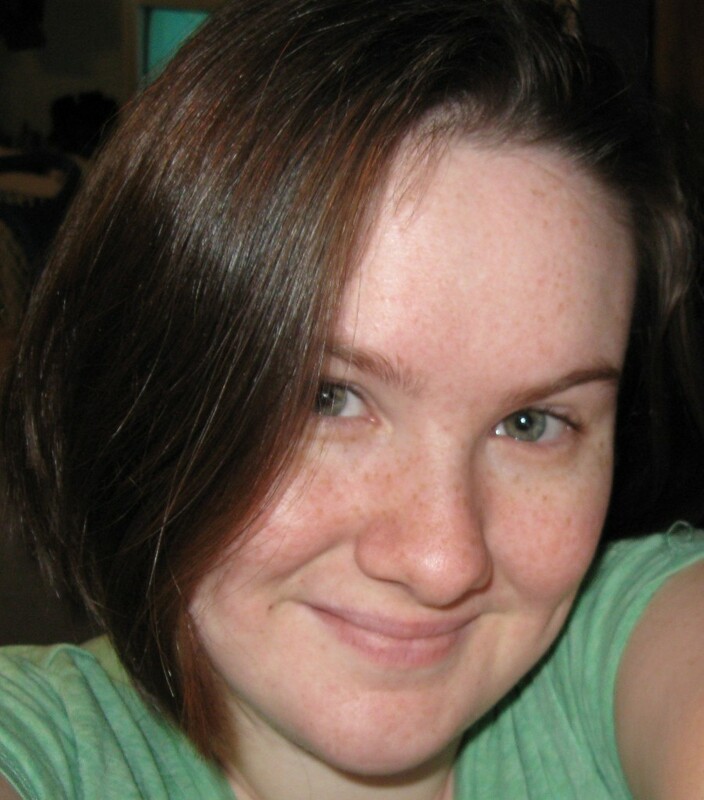 I have been knitting, crocheting and making jewelry since before the age of 10. My parents were a travelling duet through much of my childhood until my mother got breast cancer and they had to stop travelling. 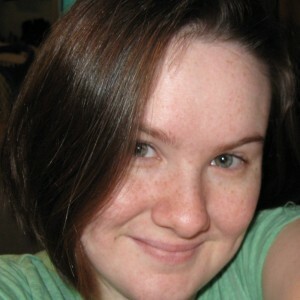 Both me and my husband run our business with the help of our two beautiful children, and a chicken coop out back! I taught ballroom dancing for about a year - it was... interesting! My parents were musicians, and during their 'digs,' being too young to go in many of the places that they played, I learned to amuse myself and keep busy with lots of activities. On top of seeing way too many horror movies, I also learned quite a few crafting skills including knitting, crocheting, native american style beading, and other beading and molding skills. The many horror movies that I saw growing up. I really love the special effects and 'making of' monster shows. It used to be my dream to do horror movie make up - no kidding! I guess I turned that into... well... this! 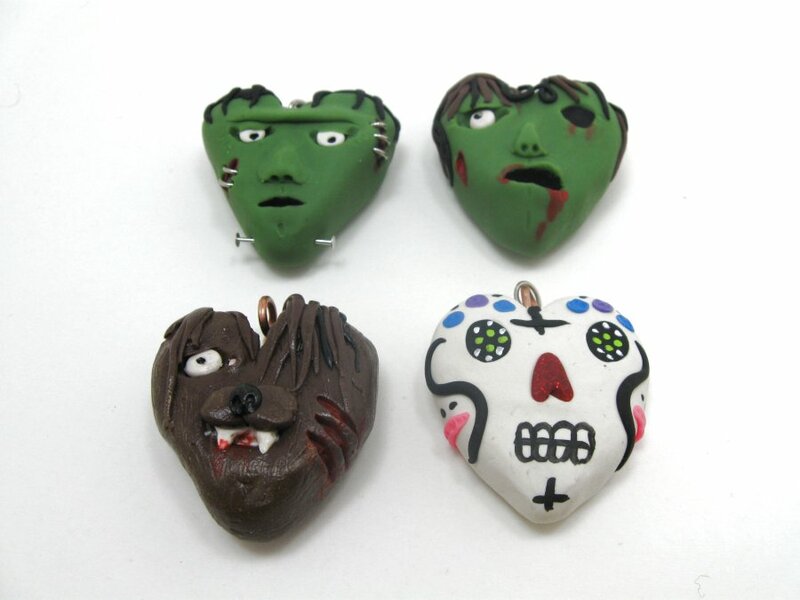 I recently completed a selection of "Horror Hearts" for Valentine's Day. 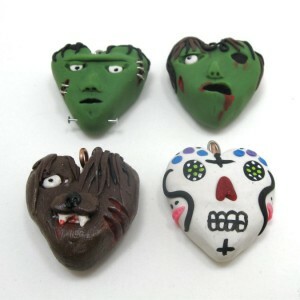 They depict a zombie, sugar skull, werewolf and Frankenstein in heart form. They were so much fun! I may add a few more to the line next year. We sell on our website and Etsy - we will soon branch out into craft fairs, but not quite yet! More care is put into handmade items. The artists truly care about what they are doing, and believe in the design that they are creating. The time, effort, and workmanship that goes into a handmade item is truly worth the minimal extra price. It's also great being able to talk directly with the maker of your item. 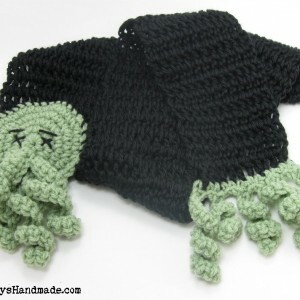 Another perk is most folks who sell handmade are also willing to customize items for you, which is awesome!